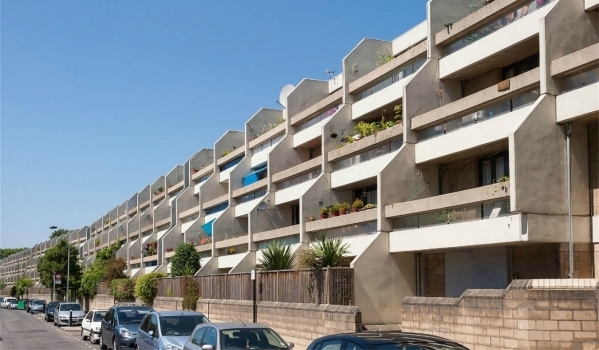 If you’re new to renting in the capital, being a prospective tenant isn’t always easy. But you can give yourself the best start with our guide. The average London rent today stands at a considerable £1,249 a month, according to figures from Zoopla. This compares to an average of £676 aross Great Britain. 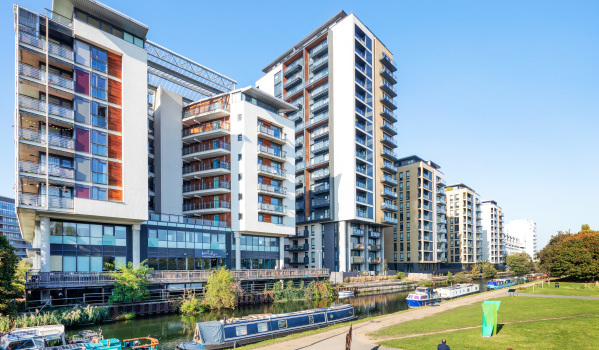 Zoopla data also reveals that London rents account for 39% of take-home earnings, compared to a national average of 30%. 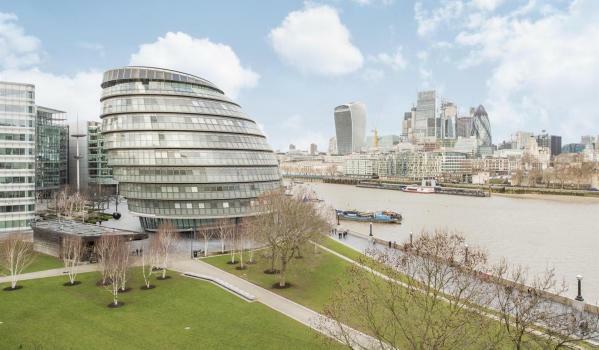 As well as needing more cash, tenants in London can face stiffer competition for property with its fast moving market and diverse range of would-be-tenants. The good news is, you can take matters into your own hands by getting primed and ready for the London rental market before you put your boots on the ground. Here are some targeted renting tips to help you find an affordable property that you can call home – and eliminate any potential surprises along the way. If you’re looking at a map of London and wondering where to begin, it might help to think of the capital as a collection of neighbourhoods and villages stitched together by an extensive transport network of buses, trains and – of course – the Tube. For example, if you’re thinking ‘north’, Shoreditch is the home of the trendy, while Stoke Newington is brimming with leafy parks, cute boutique shops and countless eateries. South of the river, Brixton is a multicultural and social hub, while the leafy village of Dulwich has a much more suburban feel. Once you’ve chosen whether you want to rent north or south, you need to research potential areas in as much detail as you can. Think about transport links and your commute times to work, and what amenities you need to ideally have close to where you’re going to be living. This might be shops, restaurants, pubs, gyms, sports centres – or suitable schools if you’ve moving with your family. How much is rent in London? Naturally, one of the biggest concerns about moving to a rental property in London is the cost and, while current London rents might average £1,249, prices can vary enormously between areas. For example, Zoopla figures show the average rent on a two-bedroom property range from £1,200 a month in some Bromley postcodes, to almost £4,500 in some pockets of Westminster. So, the area or areas you have chosen will need to match the budget you've got to play with. Lettings agents and landlords will conduct their own affordability checks – usually to check that the rent is no more than around a third of your gross annual income. But do your own sums too. After all, you’re not going to have a lot of fun living in the capital if you can’t afford a beer in your local from time to time. If prices feel out of control, have a think about the following potential solutions. 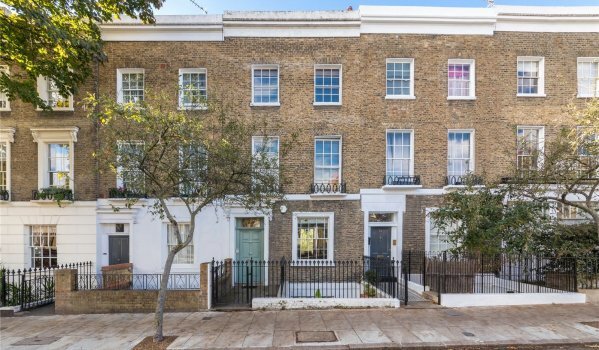 If some of the popular parts of London lie outside the bounds of your budget, it’s worth widening your search, as some neighbourhoods – while just a mile or two up the road – are significantly cheaper. For example, if you’re looking at Clapham in south west London, consider cheaper nearby Streatham instead. Or if you’ve got your heart set on Shoreditch in east London, expand your scope to neighbouring Haggerston. By choosing to live in areas that are more ‘up and coming’ – rather than already ‘arrived’ – you can reduce rents considerably. Other ‘cheaper’ neighbourhoods, which still offer great links into central London, include Finsbury Park and Tottenham in the north, Mill Hill in the north-west, Walthamstow in the east, and New Cross in the south-east. If you’re on a tighter budget still, you need to cast your net even wider – looking to outer London neighbourhoods, such as Enfield in the north, Croydon in the south, or Kingston in the south-west. While you may wince at the idea of sharing a space with strangers, if you’re struggling to work out how you can afford to rent a place in your preferred location in the capital, a house share is often the only answer. And actually, house-sharing can offer a great chance to meet new people, forge some new connections – and make significant savings. Try sites such as Spareroom and Ideal Flatmate to help you find like-minded people to share a pad with. Or, if you’re lucky enough to know other people looking to move to London at the same time as you, shack up with mates or colleagues to cut rental costs. Again, this can bring previously unaffordable areas of London well within your budget. Tubes are a convenient travel method, but they are also pretty expensive. A monthly travel card, zones 1-4 currently costs £194. So, don't dismiss rental options in London near other forms of transport, such as overground trains, buses – and even the River Bus. You can also save money – and get fit at the same time – by cycling around the capital, making use of the Santander Cycles scheme, or by investing in your own trusty bike. This can make the daily commute a whole lot more enjoyable – and can allow you to take advantage of lower rents in parts of the city without tube connections, such as Camberwell and parts of Hackney. However, even if you're an experienced cyclist, it's different in the capital and taking a cycling skills course before you hit the road is a good idea. Transport for London offer free courses for all abilities and across all boroughs. Find the list and enquire here. You might be quick to dismiss a rental property on a busy or undesirable street, but don’t rule it out until you’ve actually seen it. London is full of alleys, passageways and quirky buildings, and it could be that a flat with an address that's on a noisy road is actually located at the back of a building, meaning you can’t hear passing traffic. Equally, bear in mind that while one end of a road can seem highly unappealing the opposite end might be completely different – and a great place to live. The same applies from one side of the road to the other. The key when looking for rental property in London is to remain open-minded. However, if you see a rental property advertised as, say, £300 a week, this does NOT make the total monthly cost £1,200 (£300 x 4). The correct way to find out how much rent you’ll pay is by taking the weekly rent and multiplying it by 52 to get the annual total (in this case, £15,600). Then to get the monthly rental amount, divide this figure by 12 – in this case, £1,300. That extra £100 could be the difference between affording or not affording a rental property you’ve set your heart on. This practice of advertising weekly rents is carried out across the country but can be particularly prevalent in the capital – so keep your wits about you. Council tax rates vary between London boroughs, so it’s worth getting clued up on what council tax band any rental property falls in and how much that local authority charges. For example, Kingston-upon-Thames is renowned for being pretty pricey whereas Wandsworth and Westminster are known for having lower rates. As ever, the key is to carry out prior research. Will you need to pay tenant fees? If you’re looking to rent in the capital this summer, lettings agents and landlords will not be legally permitted to charge you fees after 1 June. This is when the The Tenant Fees Bill comes into effect which places a ban on costs currently charged to tenants such as for referencing, credit checks and administration. Average tenant fees currently stand at £202 per tenant according to industry body, ARLA Propertymark but they can be much higher in London. So if you can avoid them, so much the better. Find out more about how the Tenant Fees Bill could affect you here. Will it cost me anything post June? Defaults by the tenant, such as fines for late rent payment or lost keys. If you want to secure a popular rental home in London, whether pre- or post-June, you may well find yourself facing a holding deposit. This is a sum charged by the lettings agent to reserve the property (effectively take it off the market) while checks are carried out and contracts signed. When you’ve paid a holding deposit, you will get this money back provided you don’t back out – or fail to sign the agreement. After the Tenant Fees Bill in June, holding deposits will be capped at one weeks' rent. If you’re looking to rent in London for the first time, you might be worried about the safety of the area you’re looking to move to. To find out more about how safe a London area is, check out the crime stats on the Met Police website. You can also apply for a report from Zoopla partner, Property Detective which is address-specific. It will detail information such as crime stats and school ratings. As part of your research, check whether there are shops and banks within walking distance, as well as decent pubs and restaurants. This will give you an idea of what it will be like to live there day to day. In London, the rental market can move more quickly than in other parts of the country. There is likely to be a lot of competition for decent properties, and places can often get snapped up on the day they get listed – or even more frustratingly – before they get listed. Get as prepared as you can with your paperwork, even taking passports and references with you on a viewing. This way, you can give yourself the best chance of emerging victorious with the keys in your hand. Find out more about batting off competition among other London renters here.